“January,” a name derived from the Latin “ianua,” means “door.” Happy Door Month! We enter the door of a new year of rhythms and rituals: football and basketball schedules (ritual), holidays (rhythms often ritualized), commemorating important figures, religious feasts, and relationship celebrations. These two recurring questions often play together in my mind when I am considering change or when speaking with people who are struggling to figure out their own life-paths, frequently occurring in Door Month. Admittedly, doors lead to all kinds of delights and all kinds of messes. I have noticed houses with second-floor external doors that lead to nowhere, other than a 12-foot drop to the ground. I have seen cheaply made doors, curtains-as-doors, finely-crafted doors, and open doorways. The point of the door is to contain a space while opening into another space. And every time I walk through a door, I am, for an instant, between spaces, on a threshold (liminal space), moving from one place to another. Rites of passage, rituals, rhythms, decisions, events leading to change, all are thresholds that require a crossing over or passing through to something not yet experienced. Threshold space, the door, is valuable because it affords discernment and negotiation toward what is next. There really is no point for me to leave one room and move across the threshold into another until I understand first room’s capacities, what kind of container it has become, and whether it is really as confining as it seems in moments of chaos. I need to experience the room I have inhabited for a little longer and say good-bye before I turn to the next room. I only turn toward the doorway when I become curious and peer through. Eventually, the new beckons, and I land on the threshold for a moment, facing forward. Finally, gathering courage to walk through or finding impatience to push through advances me toward the next space. The previous room is backlit. The new room is sunlit. It is beautiful, life-giving, and energizing. Granted, sometimes we are pushed through the door without the time to say good-bye (the door to nowhere on the second story of a house). Sometimes we stay in the old room far too long and turn our backs to the door. Yet, I have learned to understand the life-journey as a series of progressions through doors of all types, to new spaces of all sizes and colors and shapes. These doors are gifts given to us. Once I leap or crawl through the door, I carefully look around, noting dimensions, colors, sources of light and dark, sensing capacities, the container it could be, and the expanse of the room. These new rooms tend to breathe, have lots of space, and feature another door in the far distance. Can I be at home here for a while? How will I decorate this particular room at this particular time? Whom will I invite into it and who is not welcome any longer? Will there be others who cross that same door threshold? One thing is for sure: I am grateful for that door. A room without doors is a prison. Imprisonment, being trapped, is not God’s desire for us. God invites us toward doors. We have stepped through the door into 2018 now. The year will be different than 2017, but there will be familiar rhythms and rituals too. Whom will you bring with you? What will you do with, and in, your new space? Rev. 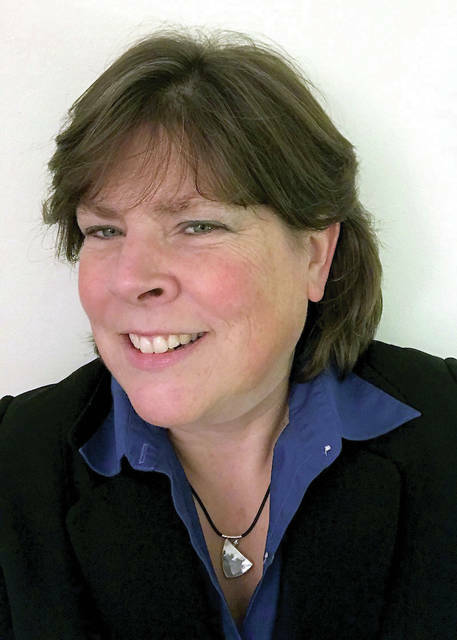 Dr. Lisa Withrow is Dewire Professor of Christian Leadership at Methodist Theological School in Ohio and an ordained minister in the United Methodist Church, East Ohio Conference.